The domed reading room has been a place of inspiration and creativity since its completion in 1913. It also proved to be a stunning location for a powerful performance by composer Iain Grandage and mezzo-soprano Dimity Shepherd at the announcement of Victorian Opera’s 2014 season titled ‘Chapter Two’. The duo performed a piece from a new opera called The Riders. Based on the Tim Winton story, The Riders was commissioned by Victorian Opera as part of a season inspired by significant works of literature. ‘Finding its origins from historic and modern texts, next year’s season pulls from the page-to-the-stage epic stories of love, sacrifice and the fleeting illusion of ‘happily ever after’,’ said Richard Mills, Artistic Director of Victorian Opera. La Traviata – based on the Alexander Dumas novel The Lady of the Camelias. Into the Woods and Hansel and Gretel – based on stores by the Brothers Grimm. The Riders – based on Tim Winton’s novel The Riders. The Library holds a wonderful selection of theatre programs dating back to the earliest opera performances in Victoria. A selection of these was made available for viewing at the launch. Find out more about the Library’s theatre program collection. View the full Victorian Opera season. 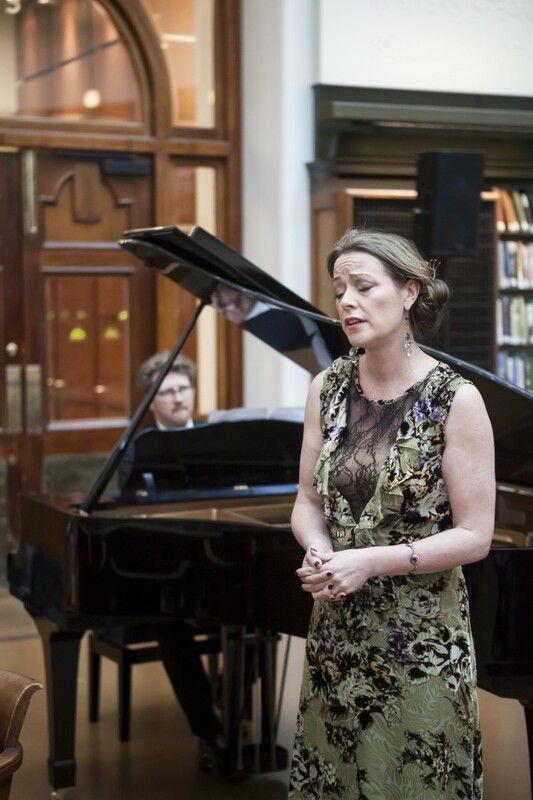 Iain Grandage and mezzo-soprano Dimity Shepherd perform. Image Charlie Kinross. 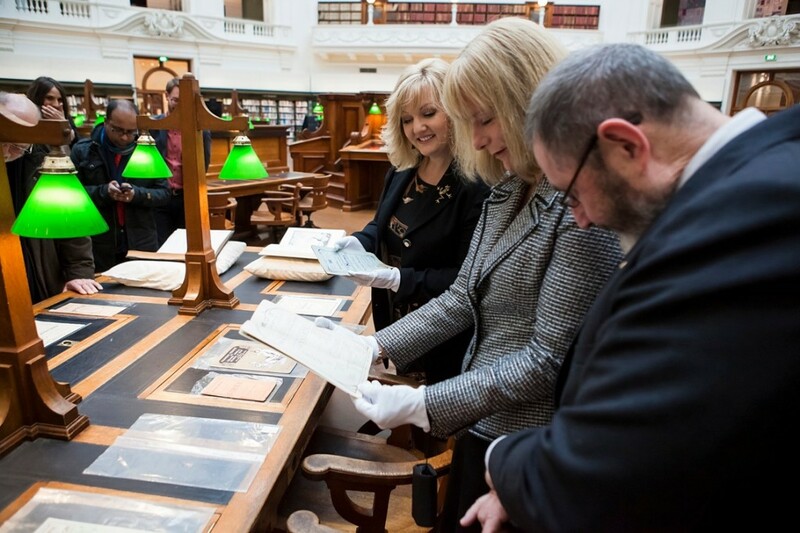 From left: Minister for the Arts Heidi Victoria, Jane Hemstritch Board Chairman Victorian Opera and Richard Mills Artistic Director Victorian Opera view programs from the State Library collection. Image: Victorian Opera.